Working emergency lights & siren on the truck!!! Sometimes animals need a little extra help when they get into trouble. Whether it is rescuing Mustangs in the wild, or helping a lost kitten stuck up a tree, the Animal Rescue Truck and Trailer can make a difference! It can safely whisk them back home or to the Animal Hospital for some extra care. This authentically detailed pickup truck and trailer looks just like the real thing! The pickup truck has doors that open and close, a drop-down tailgate and wheels that pivot and roll. 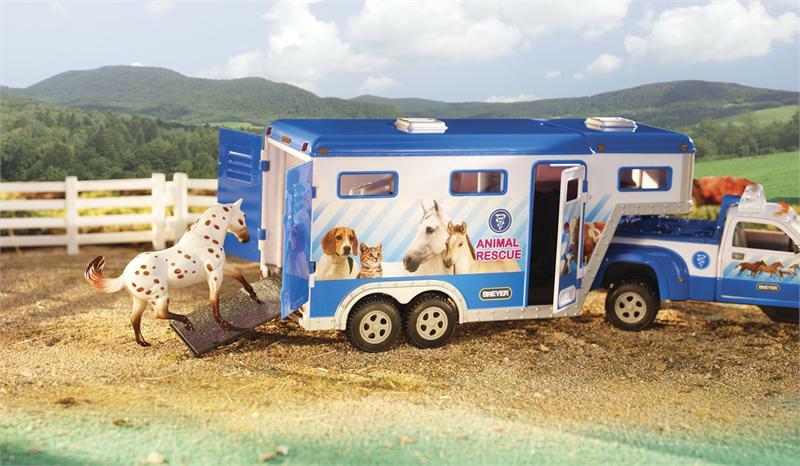 The matching gooseneck trailer has hinged roof panels that open for access to the interior animals and supplies. 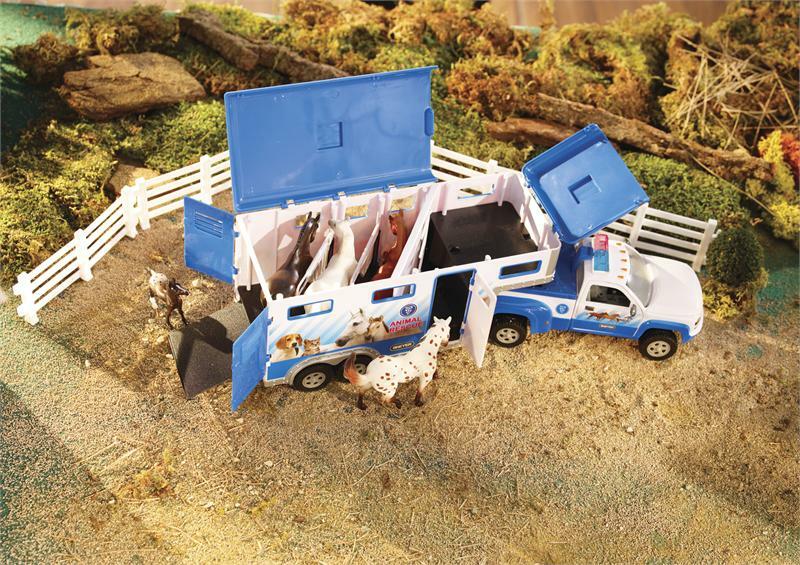 Includes: 1 truck, 1 trailer (horses & fence not included) all are Stablemates® size.